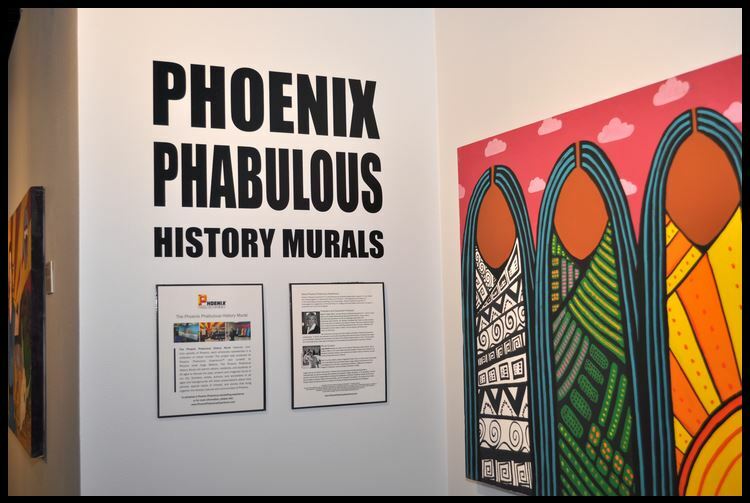 Arizona Heritage Center at Papago Park announces fall 2017 community conversations featuring local artists and topic experts who will bring to life the museum’s current installation, the Phoenix Phabulous History Murals. Full story here! On Thursday, September 21 at 6:30 p.m., speakers Frank Barrios and Anel Arriola will share presentations exploring the past, present, and future of our Valley’s diverse cultures. On Wednesday, November 1 at 6:30 p.m., local artist Damian Jim will introduce his brightly colored mural depicting the ancient Hohokam canal system, followed by water resource expert Sandy Fabritz-Whitney, who will connect Phoenix growth, placemaking and economic development in the context of the Valley’s future water supply, the key to life in our desert. Fabritz-Whitney served as Arizona’s director of Water Resources and currently is directs water strategy for Freeport McMoRan. Both programs will begin at 6:30 p.m., and the public is invited free of charge. Attendees are encouraged to RSVP at azheritagecenter@azhs.gov. The Center is located at 1300 North College Avenue in Tempe.